Just some days before we reported that OnePlus One (1+1) was going for a Flash sale. OnePlus One has reached a nice level in Mobile market and OnePlus is on it's way to release OnePlus Two but with invite system. Now you can buy OnePlus One without any invites. Yesterday OnePlus blog reported OnePlus One price reduction permanently and tie up with Dropbox. The device is available at $249. 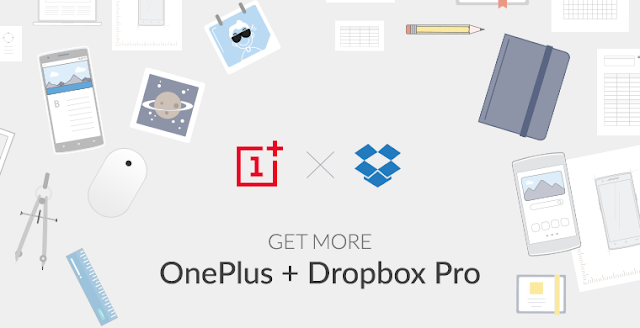 OnePlus has partenered with Dropbox to offer a one year Dropbox Pro subscription + 64GB OnePlus One bundle for only $349. This offer will start tomorrow that is 10th June 2015, but for a limited time only and is valid in US, Canada and EU. With Dropbox Pro you will get 1TB of Dropbox space, Secure sharing, Image Backup and more reported OnePlus Blog. Let see what more surprises will OnePlus come up with in Future including launch of OnePlus Two.